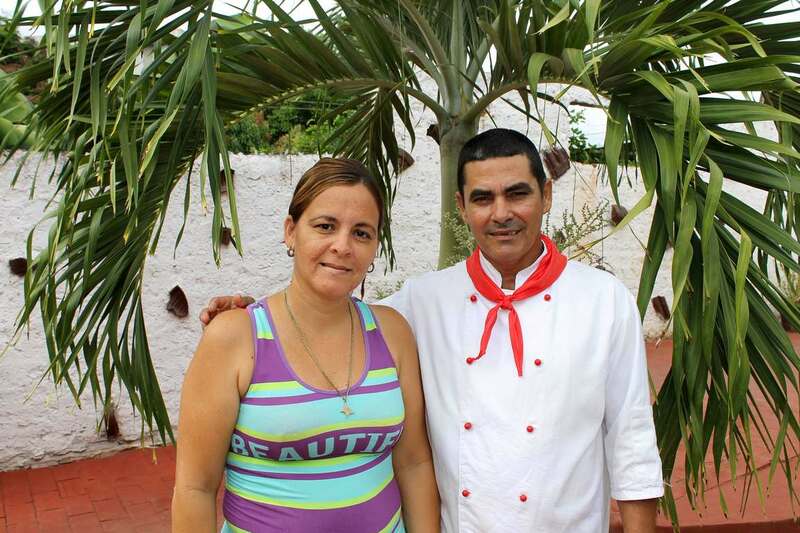 Casa Particular "Hostal Restaurante El Ranchón"
The Hostal Restaurant El Ranchón is the ideal destination for travelers who want to visit the city of Trinidad, be close to the best places of the town and live with a Cuban family. You will also be able to taste the delicious and abundant delicacies that Ovady prepares the host in his restaurant at half the price that are quoted the meals in rest of the houses and restaurants in the city and with equal or better quality. For the income the family has prepared 2 spacious rooms air-conditioned on the first level, each with capacity for 3 people. The bathrooms are in the interior of each room, always have hot and cold water service. You are guaranteed everything you need for personal hygiene such as soap, shampoo, towels and toilet paper. The house has an extensive patio converted into a restaurant. This has several tables making it ideal for celebrating a family birthday or inviting friends that match in the city. The guests enjoy in this place the gastronomic offers that offer Ovady in a friendly atmosphere that will make you feel like one more of the house. In addition they have a roofed ranchón that gives name to the house and that simulates a construction typical of the Cuban fields. Book in this house and try the exquisite food that Ovady cooks.